Bellarmine Forums - View topic - Pohle-Preuss Published Again! 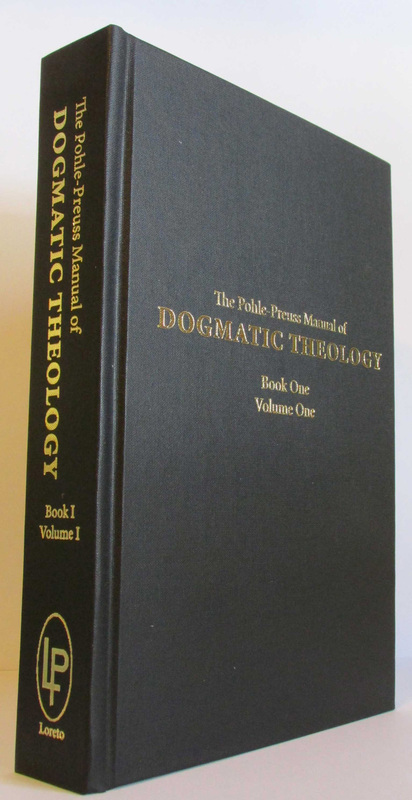 It has come to my attention that Loreto Publications is going to republish the Pohl-Preuss Manual of Dogmatic Theology -- all twelve volumes in six books. The first two books are available now, the others will be published later this year. Many Catholics living today can remember when priests were well trained in theology and could express the Faith properly in their sermons and in their writing. That is because they were given sound teaching in the seminary in Logic, Philosophy, and dogmatic theology from textbooks such as this 12 volume set. The famous Pohle-Preuss manual was used in many seminaries in America and other countries prior to the 1950's when seminary training began to go downhill. This particular manual was used in the Jesuit seminary where Fr. Leonard Feeney, who was one called by his Jesuit superior "the greatest theologia we have in America...by far" was trained. This beautiful hardbound series is an exact reproduction of the edition originally published in 1911, and it was written by Rt. Rev. Msgr. Joseph Pohle and edited by Arthur Preuss. Joseph Pohle was a Jesuit and one of the founding faculty members of the Catholic University of America as well as a frequent contributor to the Catholic Encyclopedia. He died in 1922 after having produced one of the clearest and most succinct and useful systematic studies of Catholic theology ever published. 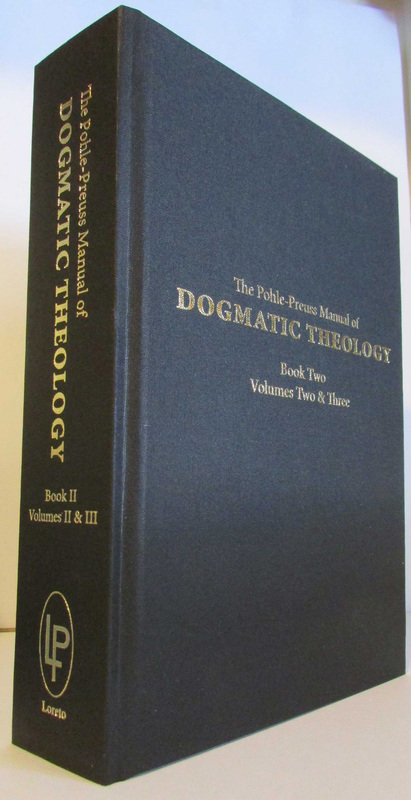 This series is nvaluabl for priests, seminarians, and anyone interested in a systematic study of dogmatic theology. At the moment only volumes 1. 2. and 3 are available in two books. The other 9 volumes will be released later in 2014. Books may be purchased individually or as a set. The entire 12 volumes (in six books) will be $239.00 and may be purchased in advance for $199 plus postage if you contact us by phone or email before June 1, 2014.